These Hourglass Candles feature a highly fragrant wax in 6 different premium scents, including Honey Pear, Heaven, Lavender Mist, Orange Spice Tea, Vanilla Raspberry, and White Cotton. 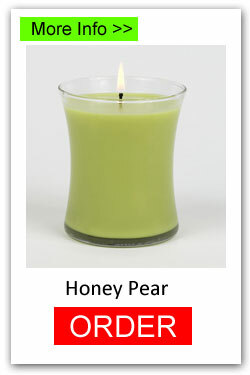 The pretty hourglass shape and no label attached make these candles very appealing. 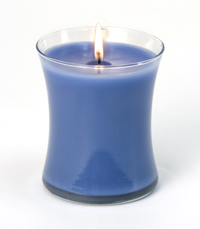 The quality wax in these candles will actually burn up to the edge of the jar (less waste), the lead-free wicks are glued to the base (prevents drifting), and has over 60 hours of burn time. The gift box included is made of recycled paper. Made in USA! 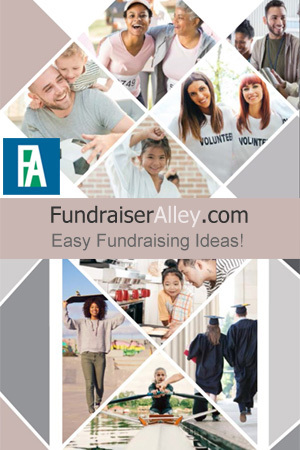 You will earn a 50% profit with this fundraiser. The small minimum order of 24 candles makes it a great idea for small groups or clubs. However, if you order over 120 candles, you will receive free shipping. These pretty candles make a great gift idea. 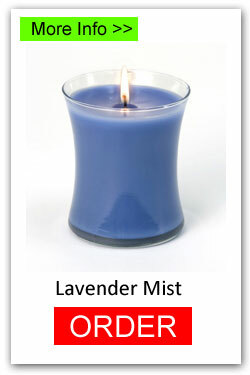 Use the links below to order your favorite scents. Order Online or call in order (1-866-826-0944) and make payment. We ship candles and you distribute to your participants. Participants sell candles to friends and family. Your group keeps the profit. Shipping is free if you order 120 candles or more! 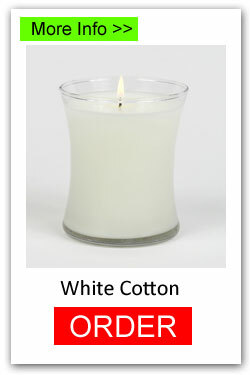 Shipping charge is $.60 per candle for under 120 candles. And, you will receive your delivery in about 1 week. 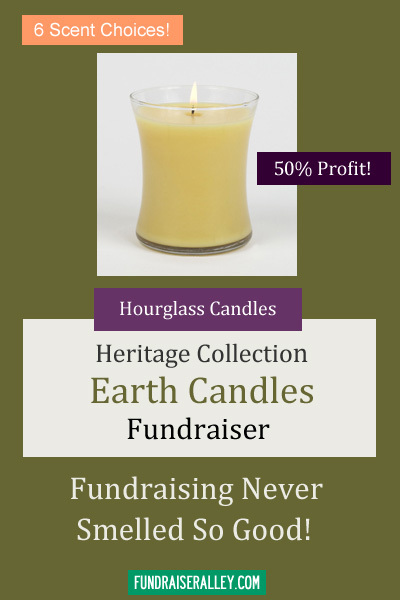 Hourglass Candles are so pretty and an easy fundraising idea for any group or club. Great for cheerleaders, Women’s club or Sunday School Class. The small minimum order of 24 is perfect for small groups. These will sell great at a Christmas store. Perfect for any time of year. A large school may prefer to do a Candle Order-Taker Fundraiser instead. The brochure offers the jar and hourglass candles, but has the advantage of you being able to take orders and collect for candles before placing an order.